Pros: An insightful play with an ingenious ending. Cons: The audience gets all of the frustration, but none of the laughs of the absurdist genre. 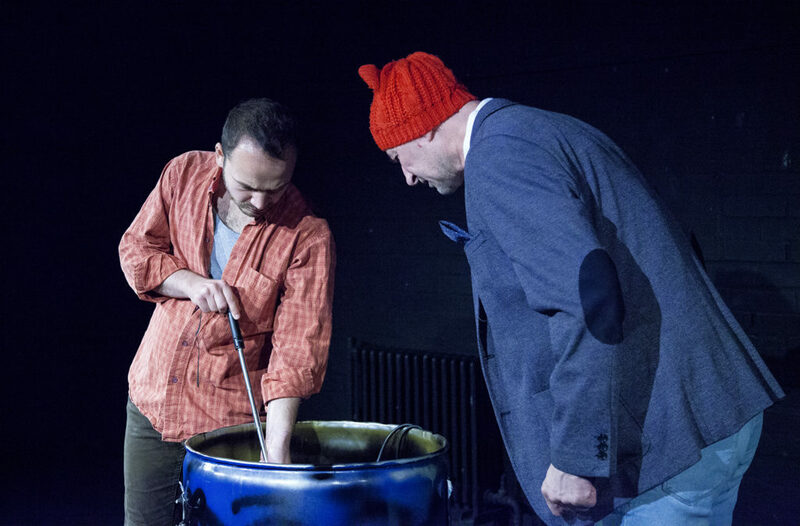 A Pocketful of Bread was written in 1984 by Romanian playwright Matei Visniec, and this production at Ovalhouse marks the play’s English-language premiere. Over the course of 45 minutes, it follows Man with Hat and Man with Stick as they try to decide what to do about the situation they have happened upon: a dog stuck at the bottom of a well. The two men rage at the cruelty of humankind, bicker about the best method to go down into the well, and contemplate whether or not the dog actually wants to be saved; but they end up doing nothing other than throwing down some bits of bread. The inevitable comparison is with Beckett’s Waiting for Godot, which features similarly surreal discussion between the two characters (Man with Stick and Man with Hat spend several minutes discussing whether or not blind dogs actually exist). I was also strongly reminded of Chekhov’s The Cherry Orchard, due to the sense of indolence that pervades the play: the characters clearly recognise the need to do something, then proceed to talk and talk until they’ve talked themselves out of it again. Watching a play by Chekhov or Beckett can be a real exercise in frustration for the audience, and A Pocketful of Bread is not much different. The show’s very short running time means that it’s not exactly a chore to sit through, but it definitely lags at times. It’s also, unfortunately, just not very funny. 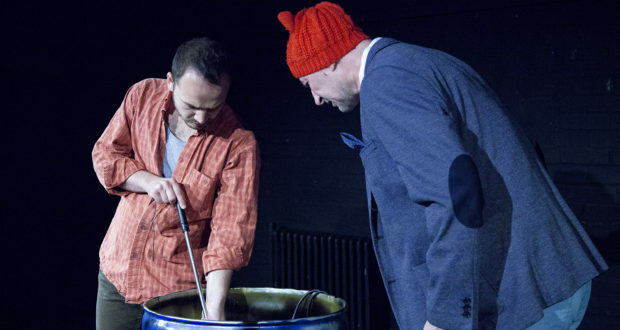 While in other absurdist plays the audience is usually rewarded for their patience with comic dialogue, Visniec’s text doesn’t manage to raise more than a couple of lukewarm chuckles.